00 In their native form nanocarbon materials are insoluble in most common solvents, including water. This has been the biggest limitation in their use. A way has now been found around this problem. This is done by functionalization/ derivatization generating multiple polar carboxylic acid groups on their surface. This renders them water soluble and provides sites for attaching other functional groups and drugs. These functionalized soluble nanocarbon materials are now being tested for diverse applications-for delivering drugs within the body, as sensors and as diagnostic tools. Because of their inertness, they were previously assumed to be safe and soluble versions have now been shown to be safe for use in humans. This, however, needs to be clearly established. Though two Nobel prizes have been awarded to nanocarbon materials, these have not yet reached the market and time is now ripe for this to happen, especially to treat cancer, arthritis, Alzheimer’s and Parkinson’s disease. Soluble nanocarbon has much potential use in materials science-for making solar cells, nanolithography, nanodevices, as MRI contrasting agents and as theranostic (therapy + diagnostic) agents. On being irradiated with a laser source, visible light is emitted from the fullerene which helps diagnose the cancer cell (Figure 1). On further exposure with an appropriate laser, the cancer cell pops off making a sound which can be recorded and amplified which constitutes photo-acoustic therapy. Shown below (Figure 2) is this phenomenon in mice before and after exposure to laser for treatment of cancer. Water soluble nanocarbon materials: a panacea for all? Current Science (2018), 114 (9), 1846-1850; doi: 10.18520/cs/v114/109/1846-1850. 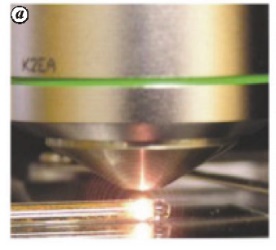 Figure 1: Visible light emission from a soluble fullerene on irradiation with a laser source (Ref. Chen, Z. et al. Theranostics (2012), 2, 238-250).